POCKWOOD POND, Tortola, VI - The fire that engulfed the R & R Malone Complex on Saturday, April 14, 2018, was serious. According to persons familiar with the incident, it sent both a Fireman and a Tenant of the Complex to the hospital. 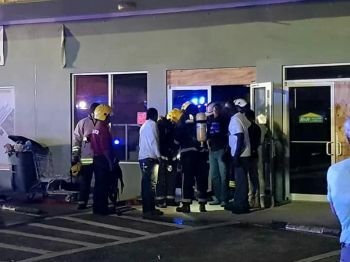 The Fire and Rescue officer was taken to the hospital after portions of the building roof collapsed on him and since had been discharged on Sunday morning the next day. 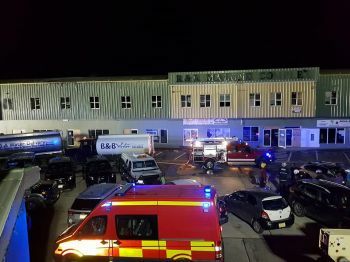 However, a tenant of the building who runs a security firm and was in his office at the time escaped with his life after having to run through the fire. 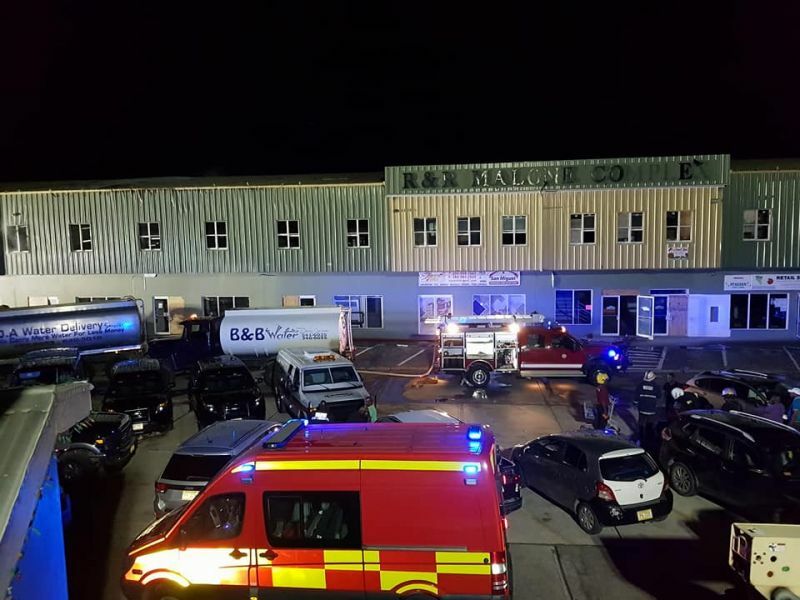 The local male received a mixture of second and third-degree burns according to a family member familiar with his conditions on his legs and his chest and is a patient at Peebles Hospital. Police investigation is ongoing as to the cause of the fire. Managing Director of the property, Carvin Malone could not be reached before publication time. Our newsroom will bring details as they become available. POCKWOOD POND, Tortola, VI - Sometime after 6:00 P.M. on Saturday, April 14, 2018, sections of the R & R Malone Complex in Pockwood Pond caught on fire. It is unclear what happened and how the fire was started but the blaze was coming from the second floor of the building. The complex is managed by businessman Cavin Malone. 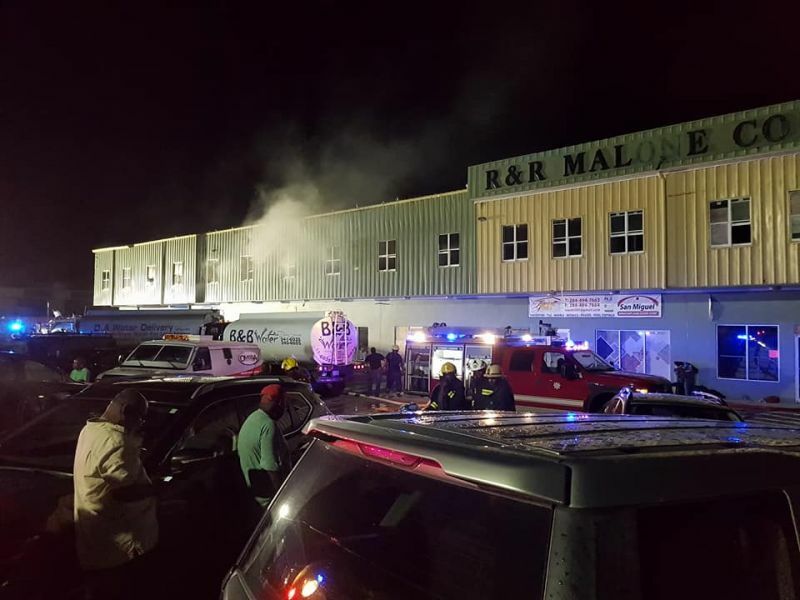 Social media went wild with photos and posting of the fire and even the owner Mr Malone did a Facebook live of the incident. Some three fire trucks worked overtime to put out the blaze, while residents in the area reported to our newsroom of seeing smoke and flames rising through the windows on the second floor of the complex. Because the fire was so intense assistant also came from some three private water trucks to get the blaze under control. 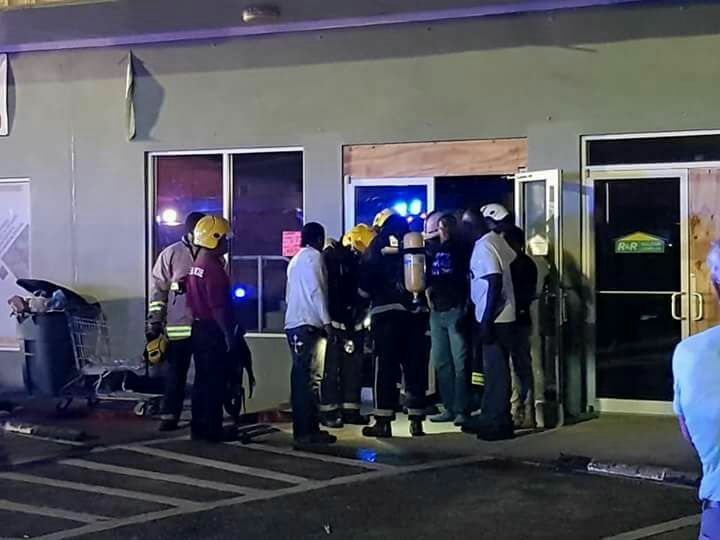 Investigations into the possible cause of the fire by both the Fire and Rescue Services, the police and the proprietor are ongoing. The R & R Malone Complex houses a number of businesses including Five Girls, Irene’s Restaurant & Bar, Legacy Auto, and the government’s Department of Motor Vehicles (DMV). Makes one wonder what building regulations were followed. SMH was there a sprinkler system installed ?